This has got to be one of the best backyards in the neighborhood and if you think the yard is great, wait until you see the house! Almost a half acre of extensively landscaped pure enjoyment including a huge deck, large patio/walkway of brick pavers, mature trees, pool and storage shed. 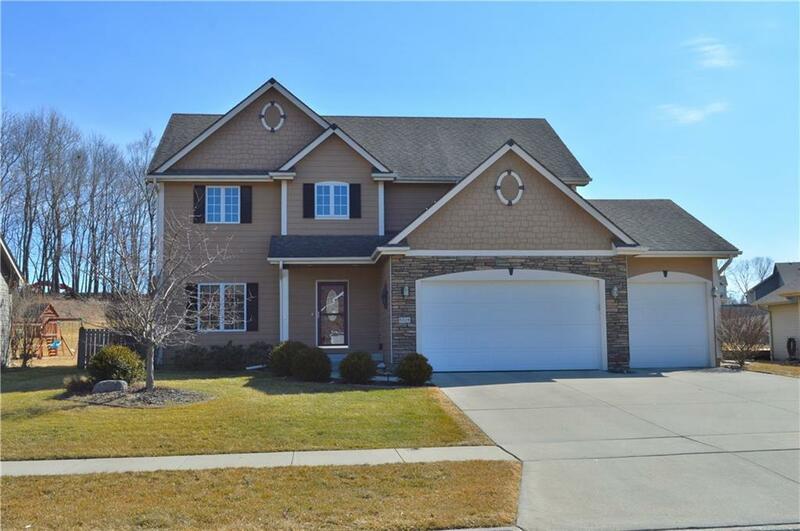 This custom built 2 story home has 5 bedrooms, 4 bathrooms, 2 family rooms, formal dining/living room & 3 car attached garage w/8’ doors. The main level features a large family room w/gas fireplace, formal living/dining & eat-in dining area, kitchen w/maple cabinets, black appliances & real hardwood floors plus a ½ guest bathroom. The upper level has a huge master suite including a private bath w/jacuzzi tub, double vanity, shower & walk-in closet plus 3 more large guest bedrooms & a full guest bath w/double vanity. The basement is finished with an office/5th bedroom w/French doors, a ¾ bathroom & another living area plus a storage/utility room. SEP schools. Central Vac. Cement siding.